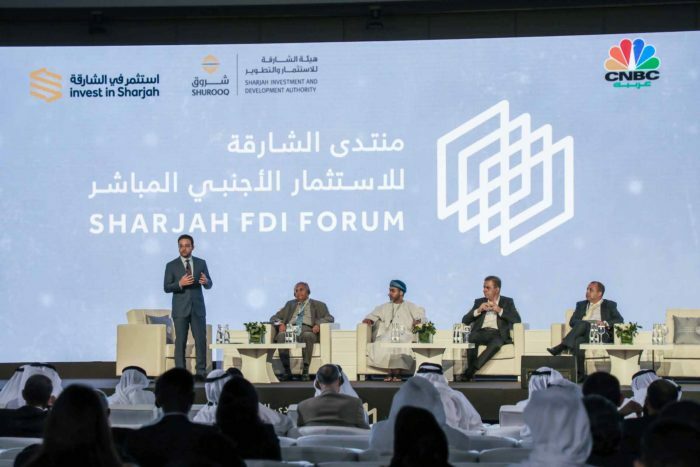 The UAE Undersecretary for Foreign Trade and Industry Affairs, Ministry of Economy, HE Abdullah bin Ahmed Al Saleh opened Day 2 of the Third Sharjah FDI Forum with promising remarks on the role foreign direct investments (FDIs) will play in fulfilling the SDG 2030’s vision, globally, saying that the UAE is both a global destination for and an exporter of FDI. 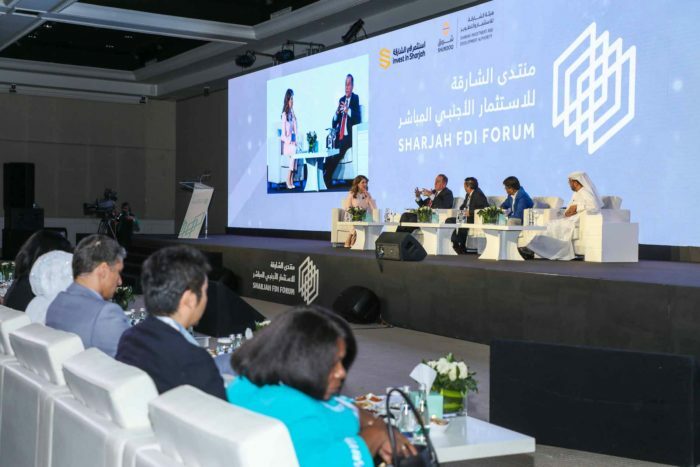 Among other high-profile attendees were Sheikha Bodour bint Sultan Al Qasimi, Chairperson of Sharjah Investment and Development (Shurooq); HE Marwan bin Jassim Al Sarkal, CEO of Shurooq; and HE Mohamed Ali Rashed Alabbar, Founder and Chairman of Emaar Properties. 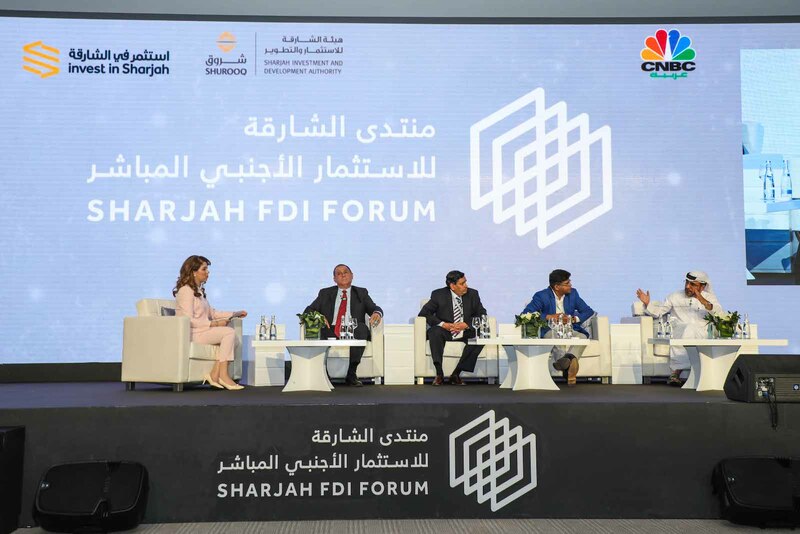 “The government must play a major role in the national march towards increasing our FDI attractiveness,” he said explaining that the UAE is planning to introduce effective programmes to support and encourage small and medium enterprises (SMEs) and mediate, and mediate the integration of big MNCs with SMEs. 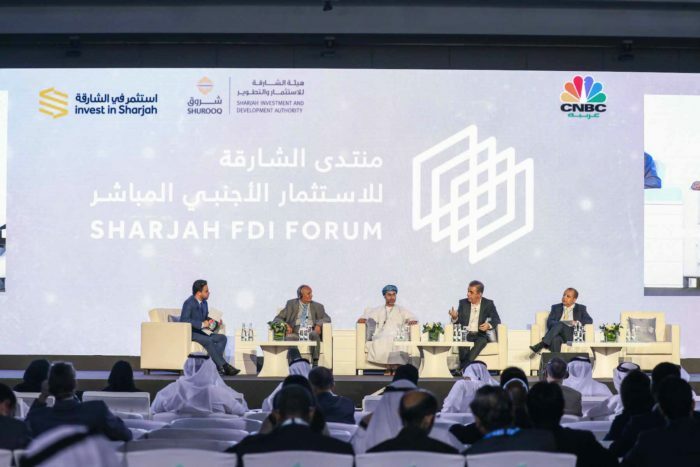 A clear political and cultural vision that supports FDI’s role in development, flexible regulations, smart government services, protection from corruption, and allowing a free flow of capital, human resource, goods and services were among the essential components for FDI attractiveness the Undersecretary listed in his opening address. Panel 1: Sustainability at the cost of profits? 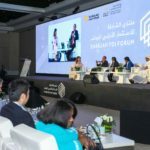 An interesting debate on the quarter-to-quarter battle for profits versus responsible leadership for driving economic sustainability followed, introducing the day’s first panel discussion titled, ‘Sustainable Economy in the MENA Region’. A mosaic of interesting opinions was presented by an international mix of panelists including Dr. Anil K. Khandelwal, Former Chairman and MD of Bank of Baroda and Dena Bank, and current member of Banks Board Bureau; Mr. Khalid Al Yahmadi, CEO of Muscat National Development and Investment Company (ASAAS); Mr. Abdel Al Ali, Group CEO at Air Arabia; and Mr. Youssef Benslim, Head of Government Affairs, Ford Motors, MEA. 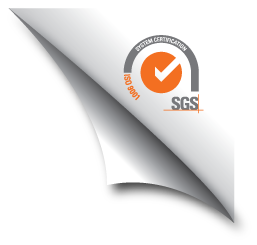 “It is extremely important that modern corporates get over their obsession for profits. 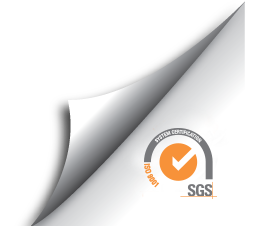 Good intentions never deliver results. The actions taken on ground to ensure sustainability do. Corporates need to work with a telescopic vision, which is far-reaching, and act with microscopic actions that do not miss out on the granular aspects that make the real difference,” said Dr. Khandelwal. 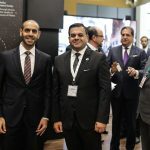 Air Arabia’s Group CEO presented an alternate argument, saying: “Profits are good for sustainability, for the environment, society and of course the stability of an economy. Profits in business will translate into more employment opportunities, higher standards of living, cleaner environment and so on. 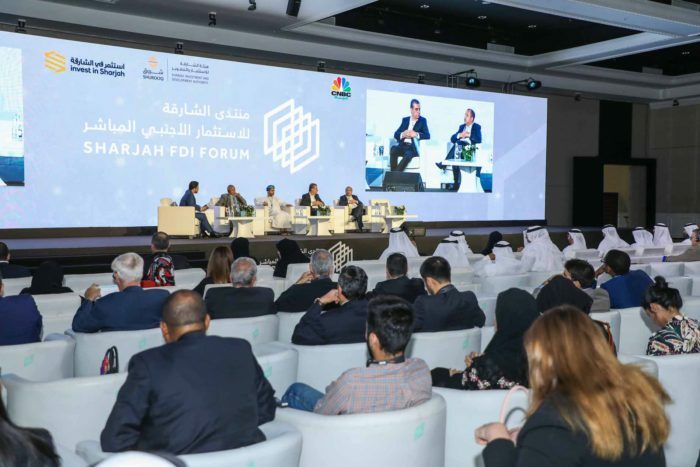 The role of the government in putting pressure on businesses to follow regulations that will ensure economic sustainability was emphasised, and the fact that the fourth industrial revolution being the first one to take into account the aspect of sustainability was highlighted. 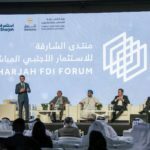 “Ford has been based out of the Middle East since 2014, and has been carrying out its main operations out of Sharjah. We have seen that the high rate of youth unemployment in the region is one of the biggest hurdles to a sustainable economy here. To address this in our little way, we have put our philanthropic arm, Ford Foundation, in charge to help the youth find opportunities in entrepreneurship. 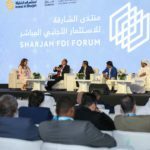 We are working towards partnering with an educational institution here in Sharjah to be able to facilitate the same,” said Mr. Benslim. The panels closed with remarks on the present being one of the most exciting times in history with respect to the world witnessing a paradigm shift in the way humankind is interacting with technology, and the need for responsible leadership, public-private engagement, the need to nurture and harness talent, and the willingness to embrace these developments were highlighted. ‘How Technology is Shaping the Education Sector’ in the UAE came under the spotlight in the next panel, chaired by Dr. Imad Y. Hoballah, Provost, American University in Dubai (AUD); HE Hussain Mohammed Al Mahmoudi, CEO American University of Sharjah Enterprises and CEO Sharjah Research, Technology and Innovation Park; Mr. Kamal Gupta, COO and Regional Director, Middle East and Africa Global Schools Foundation; and Mr. Sirish Kumar, Co-founder and CEO, Telr.com. 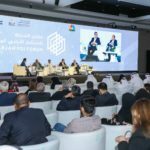 Is technology a boon or a bane for the education system, and how education can benefit from digital innovations, especially since education is one of the seven sectors identified by the UAE in its economic diversification plans, were some aspects addressed by the panel. “Education is one of the oldest global institutions in the world, an industry that is lagging behind compared to others with respect to adopting technological innovations. The fourth industrial revolution build on three revolutions, and the education system is yet to use the outcomes of the first three to its advantage. I call for a total transformation of the educational system, bridging the gap between students and the way current educational systems treat and teach them,” said Dr. Hoballah. “Today, the education system needs to integrate knowledge, leadership and passion. This is what will bring about the future generation’s capacity to think and act differently to the way we do. This is what I call the knowledge of differentiation. Education should not just be about producing degrees,” said Mr. Gupta. The panelists concluded saying that technologies like VR and AI will never replace educational institutions. They are not threats or substitutes, but value adds. These tools are going to enhance the lesson delivery experience and a student’s overall learning experience. 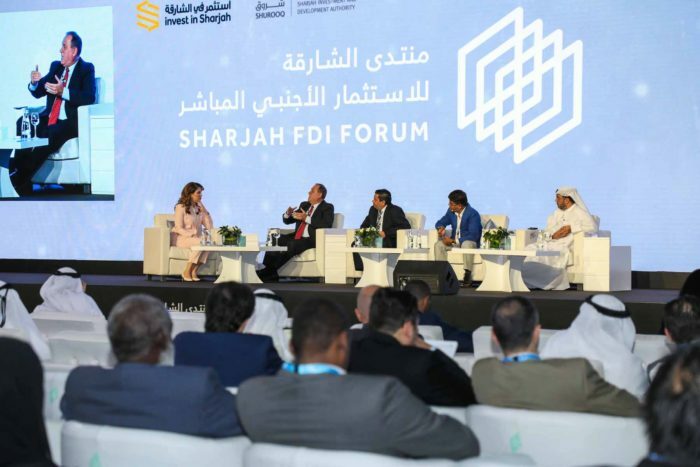 Organised by Sharjah Investment and Development Authority (Shurooq) and Sharjah FDI Office (Invest in Sharjah), the foreign investment promotion arm at the Authority, the two-day event is being held at Al Jawaher Reception & Convention Centre in Sharjah. 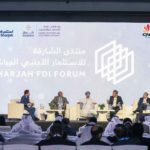 Themed “The 4th Industrial Revolution”, the Sharjah FDI Form 2017 - which is being conducted in a strategic partnership with CNBC Arabia – has brought together a galaxy of renowned decision makers, senior global businessmen and highly regarded experts from the public and private sectors, to review FDI prospects for the region.